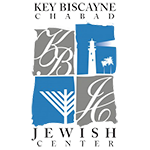 Click here for directions from Chabad of Key Biscayne to the Ritz Carlton. Click here for a list of Kosher Restaurants in the greater Miami area. Our list of Shabbat Service times.